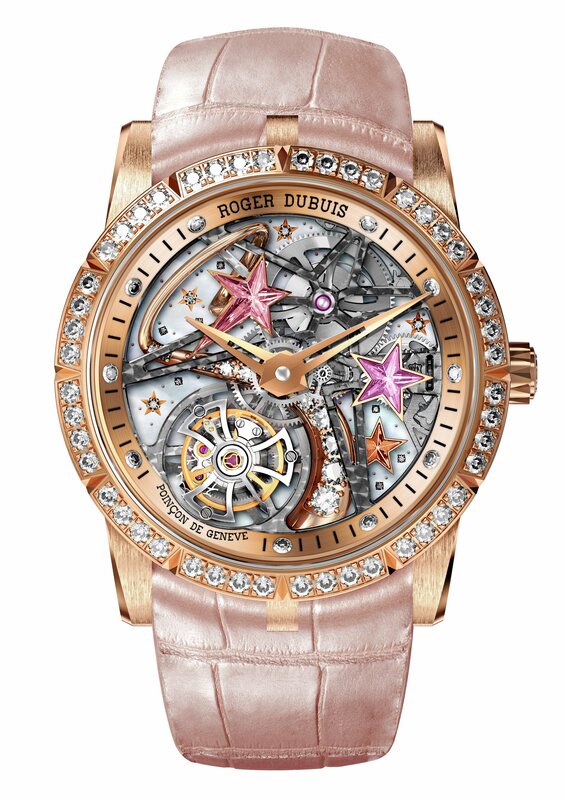 Roger Dubuis‘ unrestrained creativity spills over into extravagance and a boldness that “dare to be rare”! At this year’s SIHH, the Geneva-based Swiss Maison launched more atypical, oversized watches honoring horological innovation while maintaining several of its recognizable codes. Inspired by its racing partners Lamborghini Squadra Corse and Pirelli, the brand introduced new models representing its collaboration with the two big names. Inspired by the recently unveiled Lamborghini SC18 Alston supercar, the futuristic Excalibur One-off features a design that embodies modern art, innovative architecture and a calibre worthy of the most complex engine. 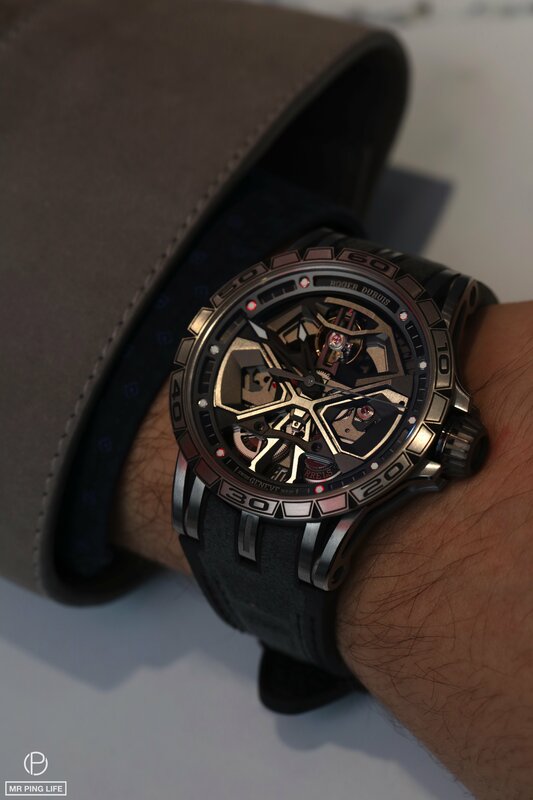 Fast on the heels of the One-off timepiece, the new Excalibur Huracán is inspired by the iconic Lamborghini Huracán supercar and takes the cutting-edge skeleton concept to new speeds: a cryptic date-disc reveals the date only when passing through its dedicated aperture and cannot be decoded through the back. 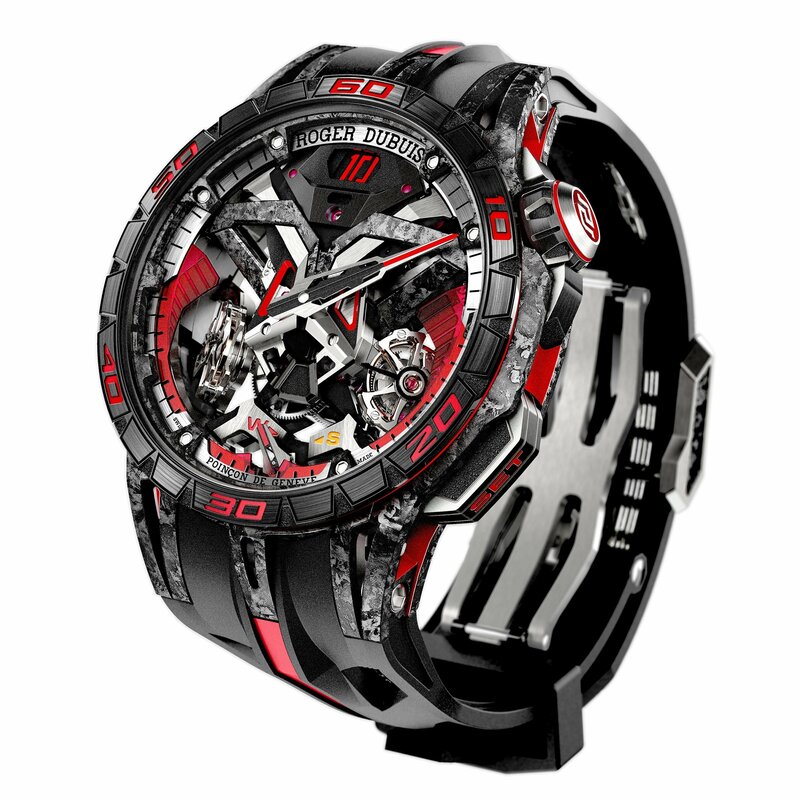 The same sense of controlled strength, precision, rigorous hold and adrenaline thrill that thrives in the car racing world is ejected into making these timepieces. As there are women out there who appreciate big watches with big complications, the brand also launched the audacious 36mm Excalibur Shooting Star, an iconic Astral signature enhanced by a sparkling shooting star and featuring the latest generation of skeleton flying tourbillon. 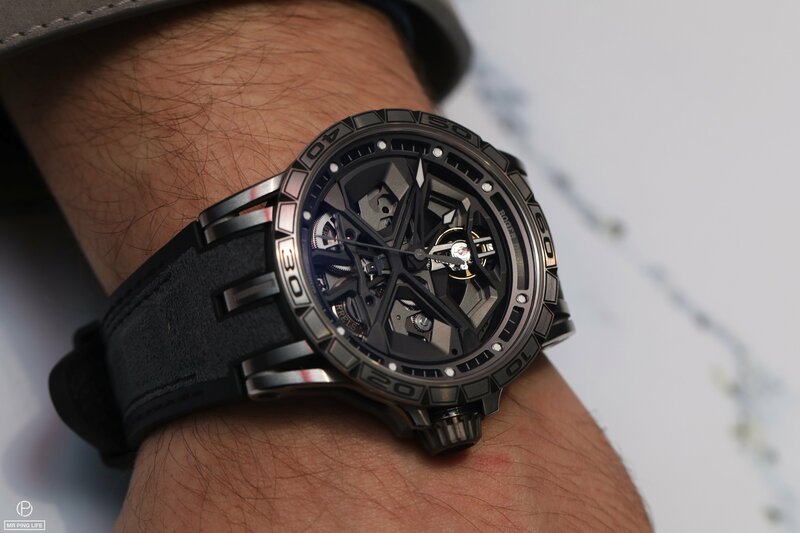 It took Roger Dubuis watchmakers 2 years to develop a complication of this nature that would be displayed in such a diminutive piece, creating a worldwide first worthy of the sky itself. The 28-piece limited edition is made of 18K pink gold with white round cut diamonds, and comes with “please don’t make me choose” options in pink, with white mother-of-pearl décor on the inside, or blue, featuring diamond-set lugs and caseband, finished by a sophisticated blue sunburst décor on the inside. Let’s see what the disruptive serial innovator will date to come up with next! SIHH 2017: Roger Dubuis Partners With Pirelli!